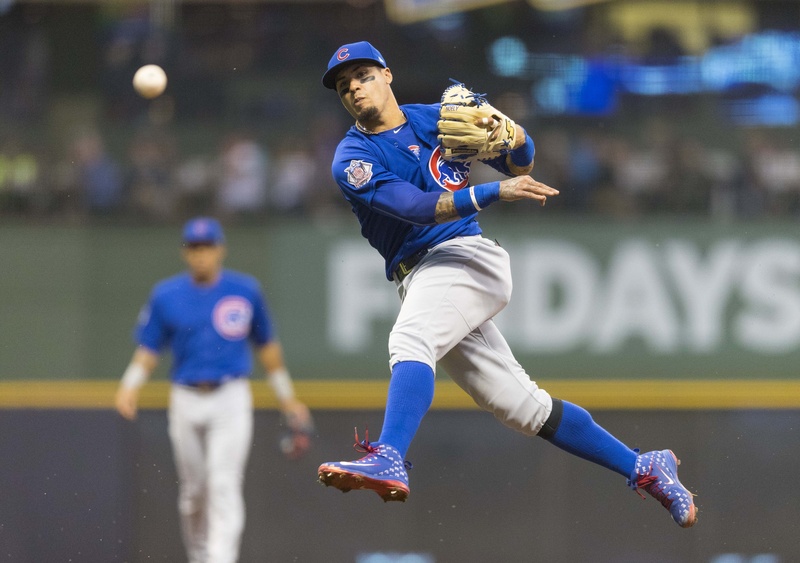 What you need to know: The Cubs offense never got anything going against Chase Anderson, scratching out only one infield hit in seven innings against the Brewers starter. Tyler Chatwood spent more time around the strike zone that he has recently, but Travis Shaw drilled two doubles in his first two at-bats, plating four early runs that would be more than enough for Milwaukee. Next Level: Tonight was not a typical Tyler Chatwood start and, if you squint, there are some positives to take away. Chatwood walked only two batters, which is tied for his fewest in his last 11 starts, and threw 60 of his 97 pitches for strikes (61.8%), which is well above his season average of 54.7%. For stretches of time, it seemed like Chatwood had decent command of his pitches, especially his curveball. Chatwood started the game by yanking two fastballs nowhere near the zone against Eric Thames, falling behind 2-0 before giving up a loud single. Christian Yelich followed with a 1-0 single and, two batters later, Shaw took a 3-0 pitch into the right field corner to give the Brewers the early lead. Similarly, in the third inning, Chatwood walked the leadoff hitter Yelich and then fell behind Lorenzo Cain 3-1, before Cain ultimately reached on an intensely bizarre fielder choice. Chatwood then pitched himself into a hole against Shaw (once again), and Shaw lined a 3-1 fastball into the right field corner to put Milwaukee in the driver’s seat. For most of the season, Chatwood has been pitching fairly adept at pitching himself out of traffic created by his tendency to walk hitters. However, even though he avoided largely the free pass tonight, Chatwood’s inability to locate early in the count allowed Milwaukee best hitters to get themselves into favorable counts, and they punished him for it. Top WPA Play: Willson Contreras’ infield single in the second inning, which set up the only real scoring chance for the Cubs (+.059). Up Next: The rubber match in Milwaukee features an unexpectedly good pair of pitchers in Mike Montgomery and Jhoulys Chacín. Montgomery has been brilliant in three starts while filling in for Yu Darvish, and he’ll take the ball at 1:10 CT in an attempt to give the Cubs yet another series win. Andy is an intern for BP Wrigleyville. He is a native Chicagoan, but currently resides in the San Francisco Bay Area, where he is a PhD student studying structural engineering.